This infantry regiment was raised in 1705. It took part in many British Army campaigns, before being amalgamated into the South Staffordshire Regiment in 1881. This regiment was raised by Colonel Luke Lillingston at Lichfield in 1705. Its first posting was to Ireland. Then, in 1707, it was sent to the West Indies, where it served as land troops and marines for 57 years, mostly on Antigua. Poor supply lines and the hot climate made it the first ever British regiment to create a tropical uniform, using ‘holland’ fabric from sugar sacks to line its coats. In 1751, it was given the numeral 38 in the infantry order of precedence. It finally returned to the British Isles in 1764, before being posted to Boston, Massachusetts in 1774. It was still in North America on the outbreak of the American War of Independence (1775-83) and fought throughout the conflict, most notably at Bunker Hill (1775) and Brandywine (1777). 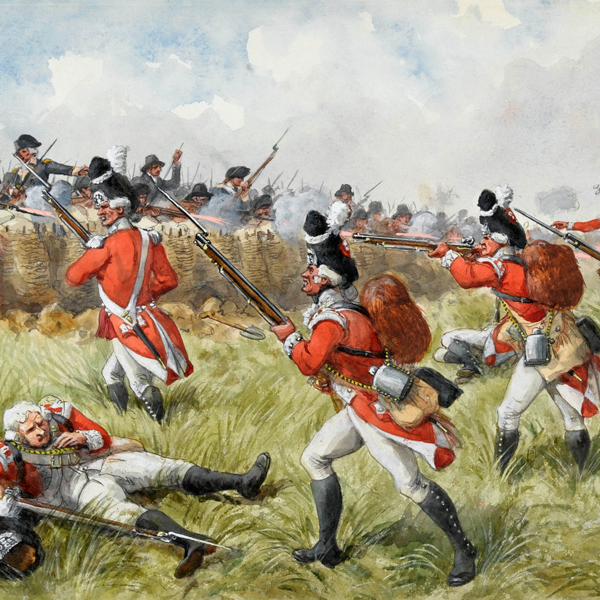 Next, the regiment garrisoned Nova Scotia, before arriving in Ireland in 1790. On the outbreak of the French Revolutionary Wars (1793-1802), the main body of the regiment was sent to Flanders. But its companies of light infantry went to the West Indies, helping to capture Martinique (1794). The main body rejoined the flank companies there in 1796. The regiment remained in the West Indies for the rest of the 18th century, helping to take St Lucia (1796) and Trinidad (1797). The 1st Battalion embarked for the Peninsular War (1808-14) in 1808. 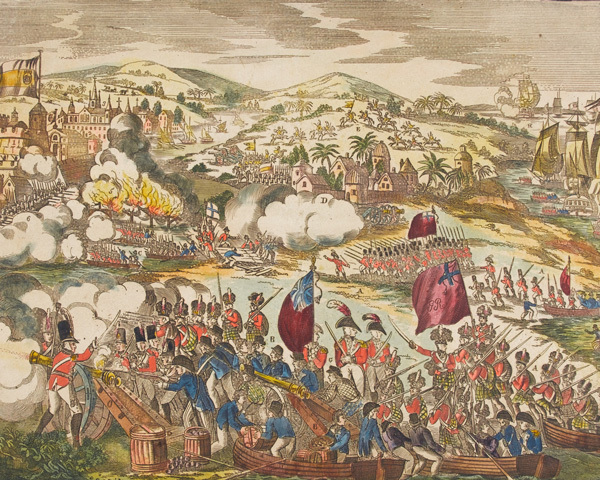 That year, it fought at Rolica and Vimeiro, before joining the retreat to Corunna with Sir John Moore. In 1809, it also took part in the Walcheren expedition. 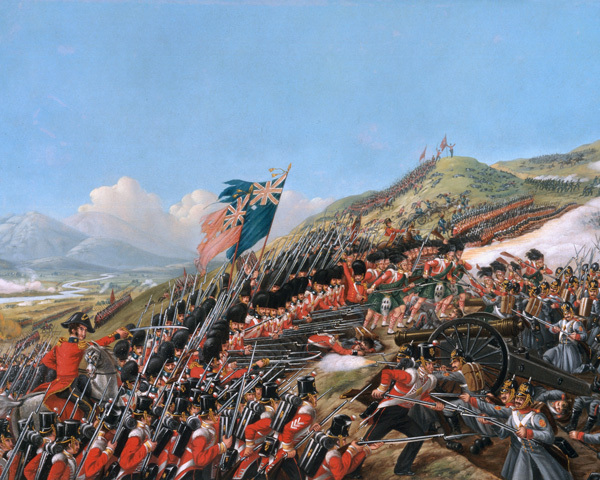 In 1812, 1st Battalion returned to the Peninsula and absorbed most of the survivors from 2nd Battalion, which had arrived in 1810 and had subsequently fought at Bussaco and Badajoz (1812). A small cadre went back to Britain to re-form. But 1st Battalion went on to fight at Salamanca (1812), Vitoria (1813), San Sebastián (1813), Nivelle (1813), the Nive (1813), Orthes (1814), Toulouse (1814) and Bayonne (1814). The re-formed 2nd Battalion never left England again. It disbanded in 1814. That year also saw the regiment sent to Ireland, before being re-routed to Belgium in July 1815 to join the Army of Occupation. 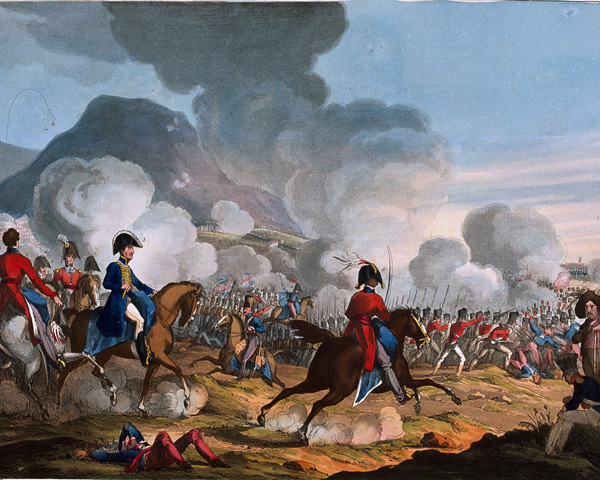 In 1818, the regiment was sent to South Africa to fight in the Fifth Cape Frontier War (1818-19). Garrison duties in India, Burma, the British protectorate of the Ionian Islands, Jamaica and Nova Scotia followed over the next three decades. In 1854, it sailed for the Crimean War (1854-56), fighting at the Alma (1854), Inkerman (1854) and Sevastopol (1854-55). It was then briefly in Ireland, before being sent to India during the Mutiny (1857-59). It took part in the capture of Lucknow in 1858 and then stayed in India until 1871. During this time, it took part in the Black Mountain Expedition (1868). 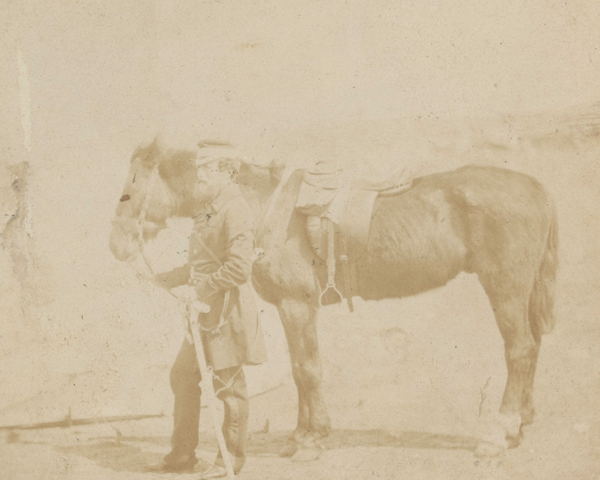 From 1871 to 1880, the regiment was on home service. The following year, it was in Malta when it merged with the 80th Regiment of Foot (Staffordshire Volunteers) to form The South Staffordshire Regiment. Explore the history and collections of 38th (1st Staffordshire) Regiment of Foot by visiting The Staffordshire Regiment Museum. The South Staffordshire Regiment was an infantry regiment of the British Army, active between 1881 and 1959. This infantry unit was raised in 1793. It continued in British Army service until the 1881 reforms, when it was merged into The South Staffordshire Regiment. The Buffs was one of the first infantry regiments of the British Army, tracing its origins back to the 16th century. The Middlesex Regiment was an infantry regiment of the British Army, created in 1881 and amalgamated in 1966 into The Queen's Regiment. 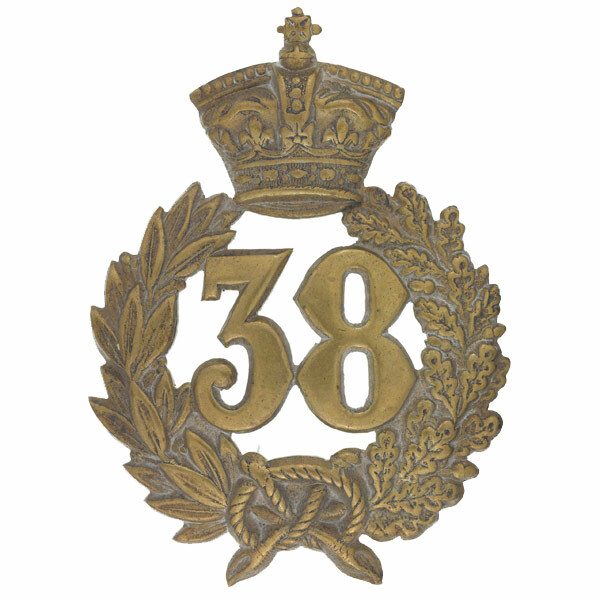 The Bedfordshire and Hertfordshire Regiment was an infantry regiment of the British Army. It traced its origins back to 1688.